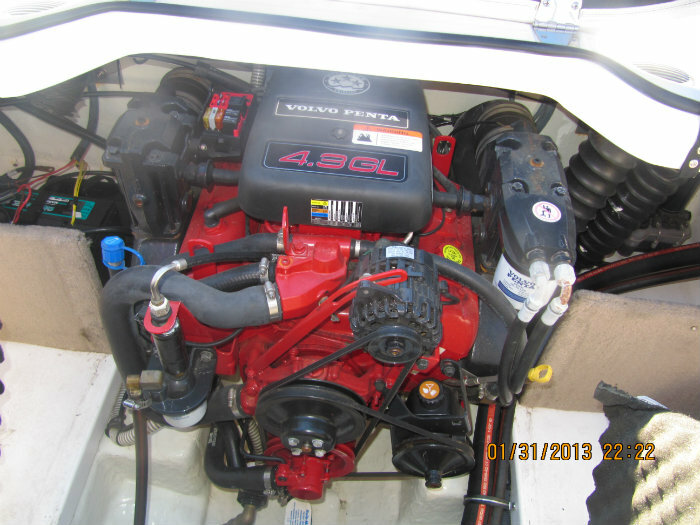 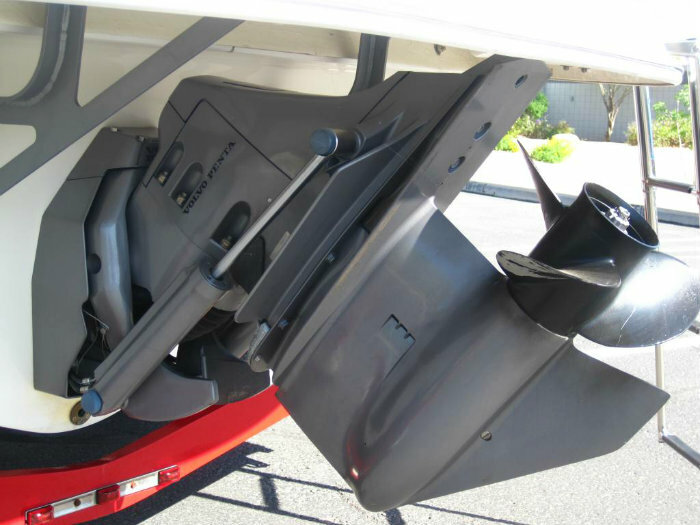 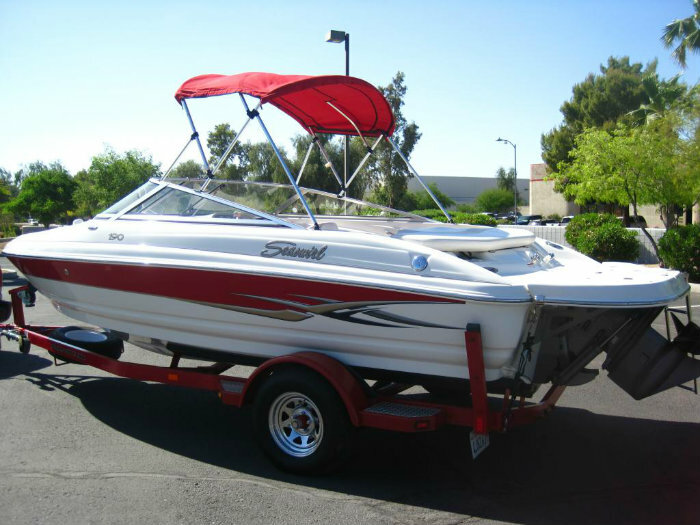 2006 Seaswirl 190 Sport Bowrider powered by a 4.3L V6 190hp Volvo Penta GL engine, with a Volvo SX leg sterndrive and ONLY 44 hours of FRESHWATER use. 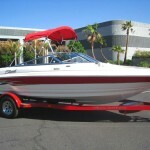 This 19 footer is pristine, no other word describes it better!! 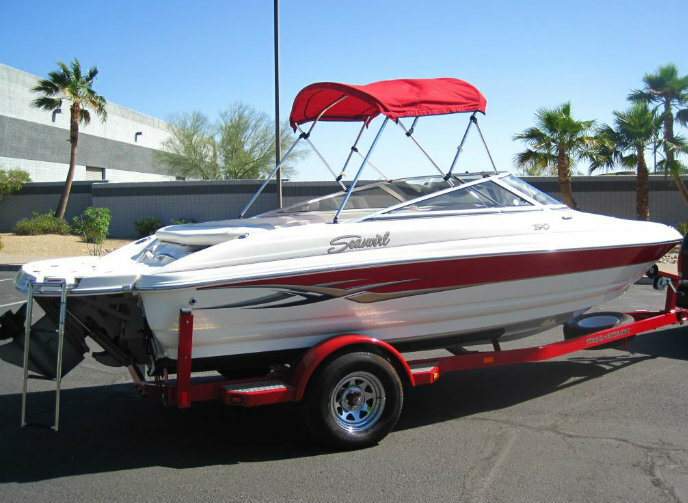 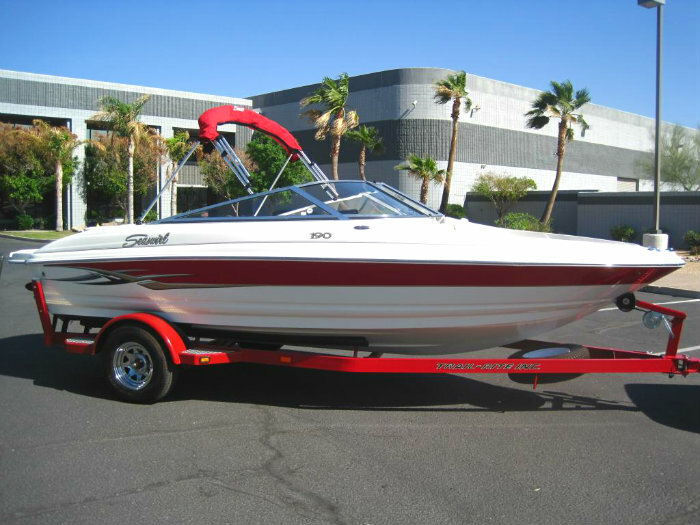 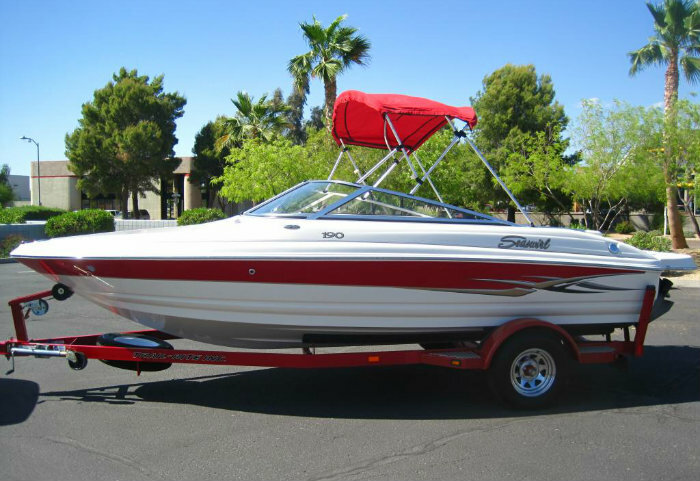 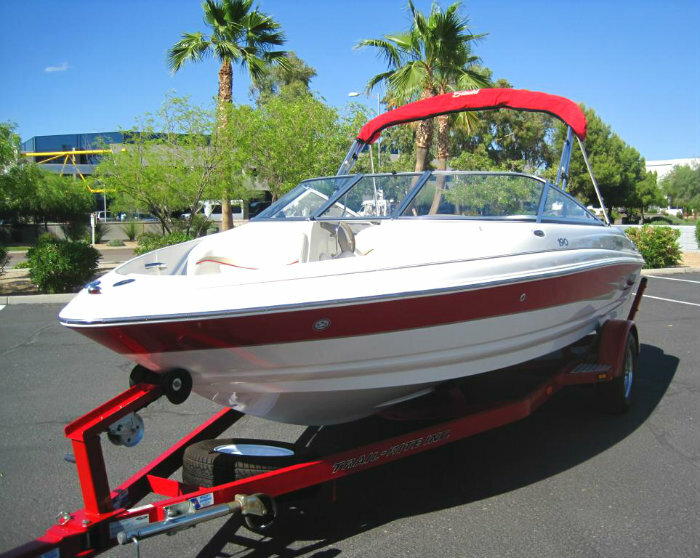 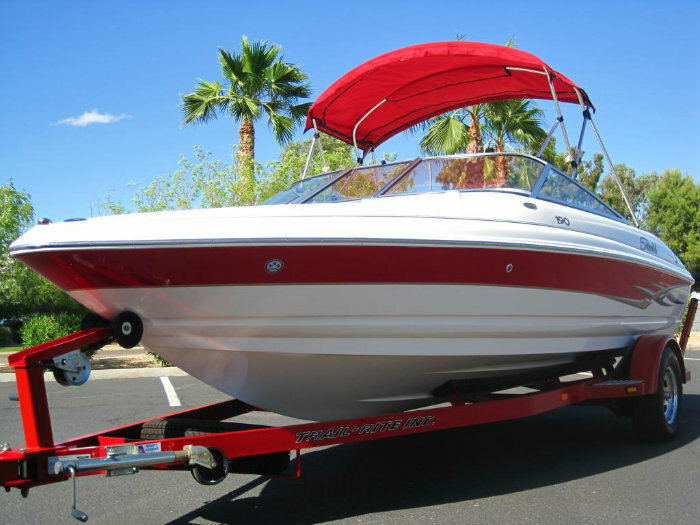 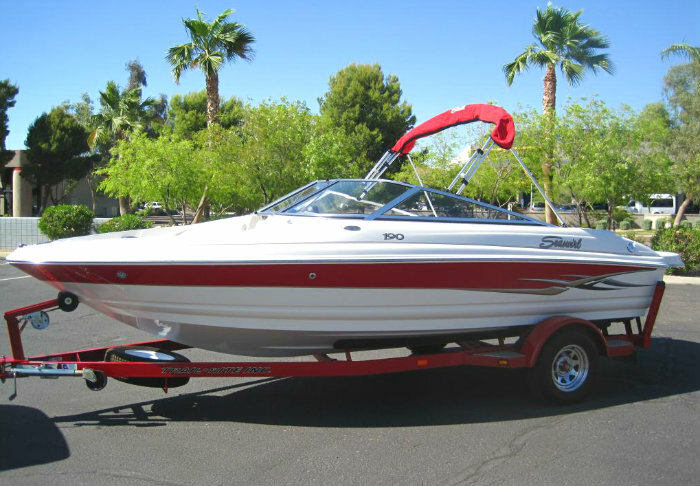 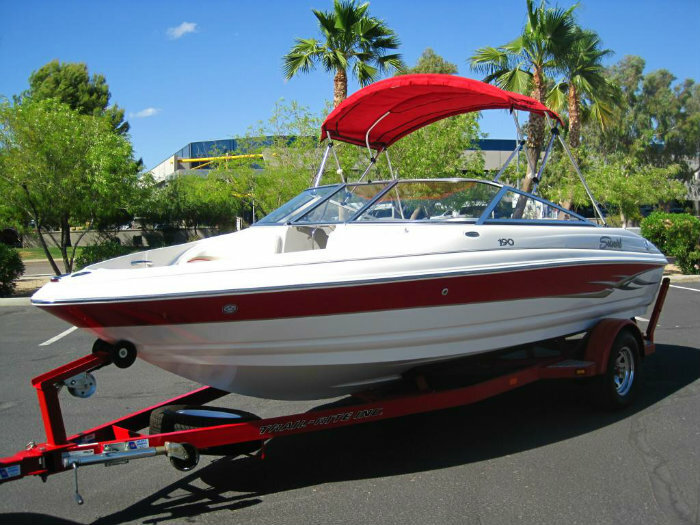 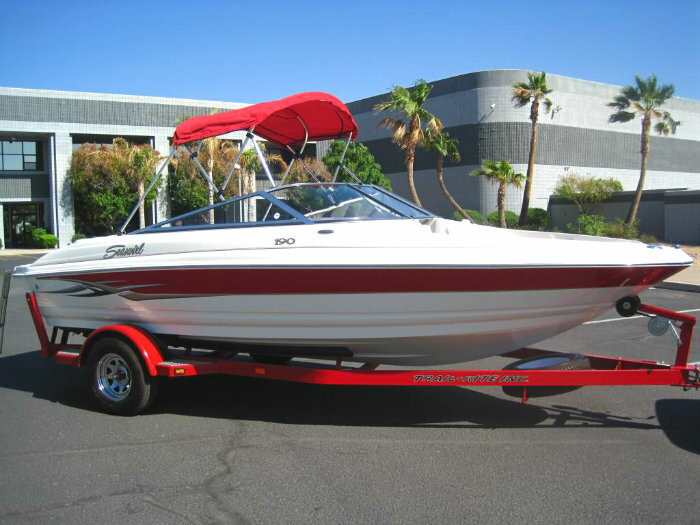 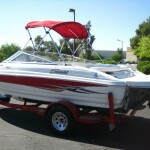 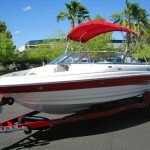 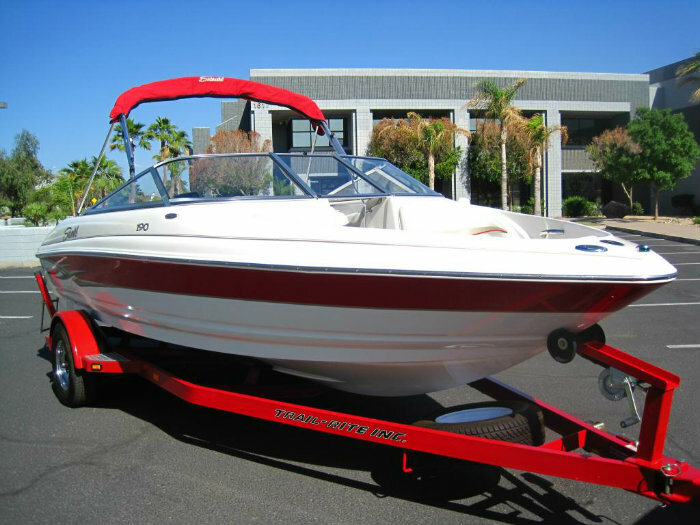 A hardly used one-owner boat that belies belief, pictures do not do it justice. 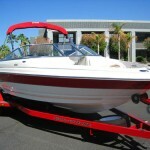 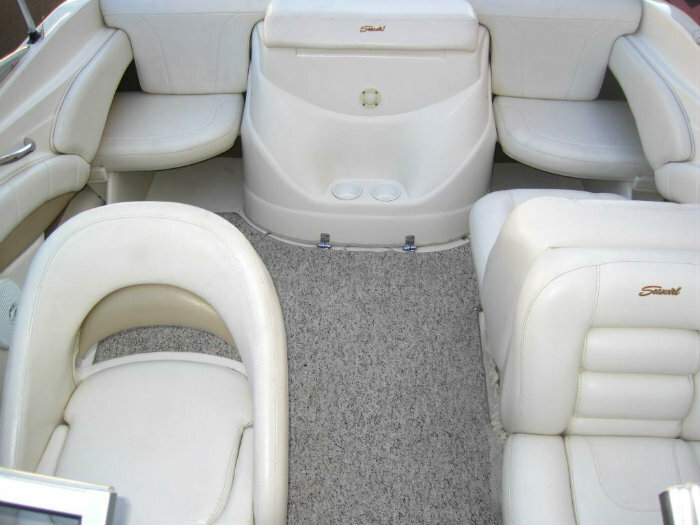 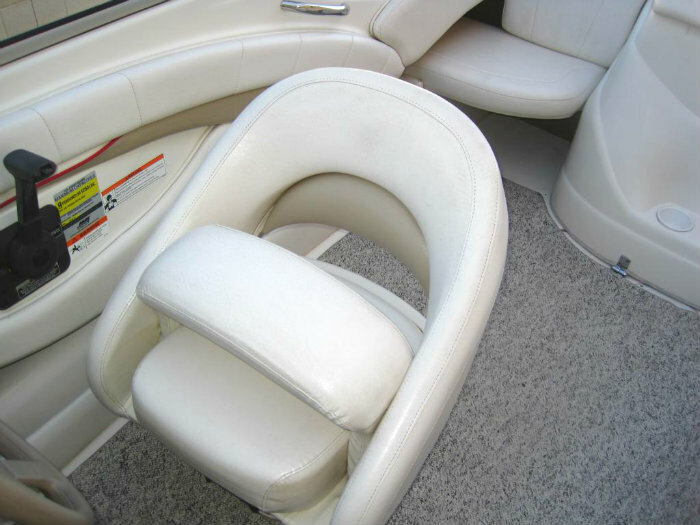 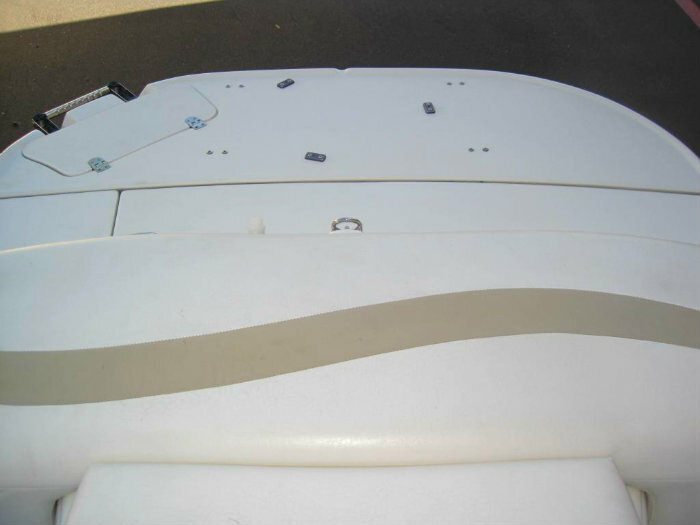 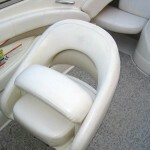 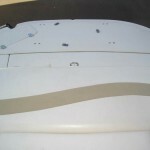 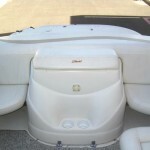 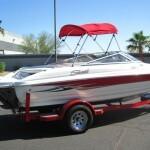 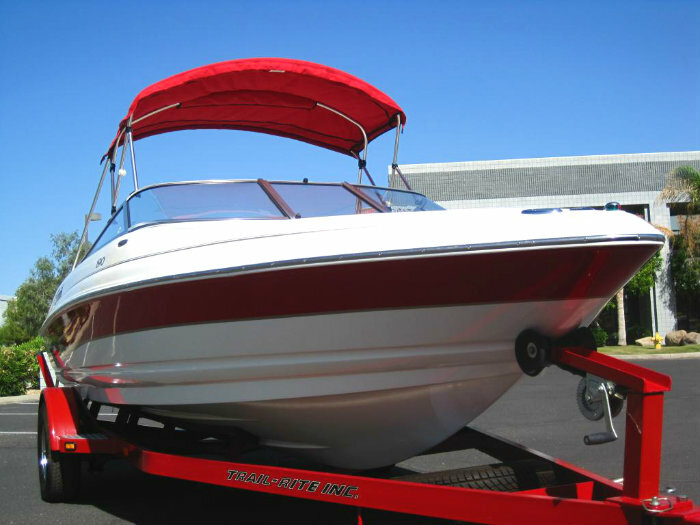 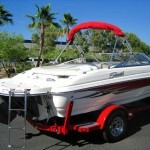 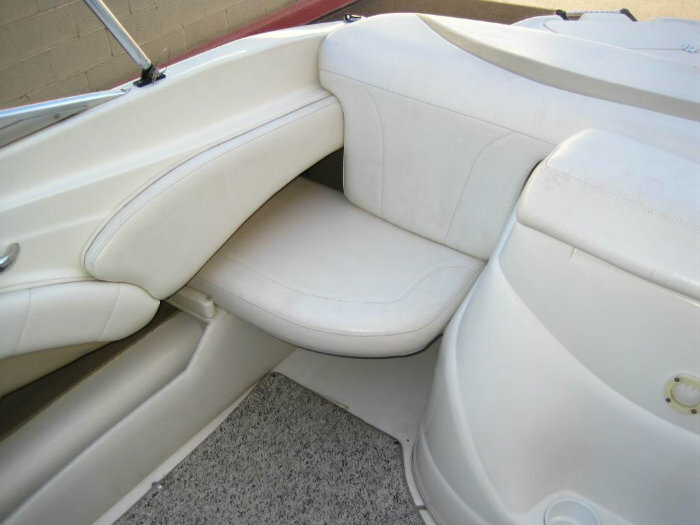 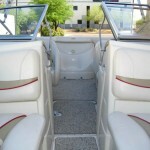 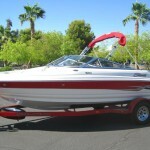 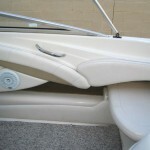 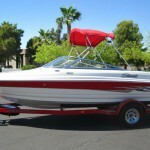 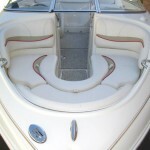 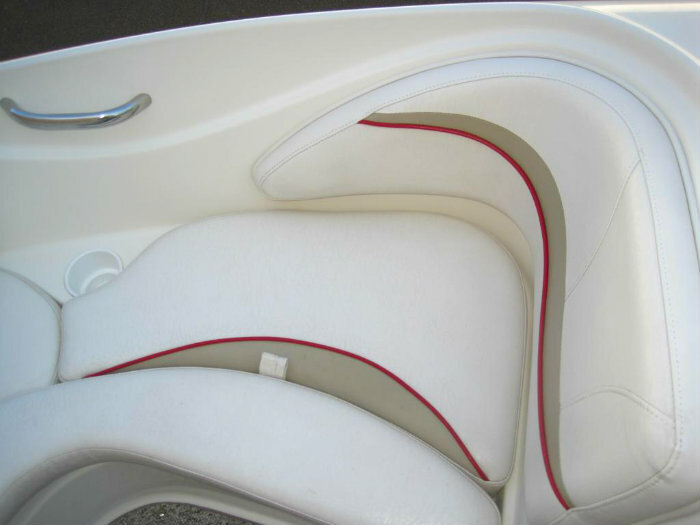 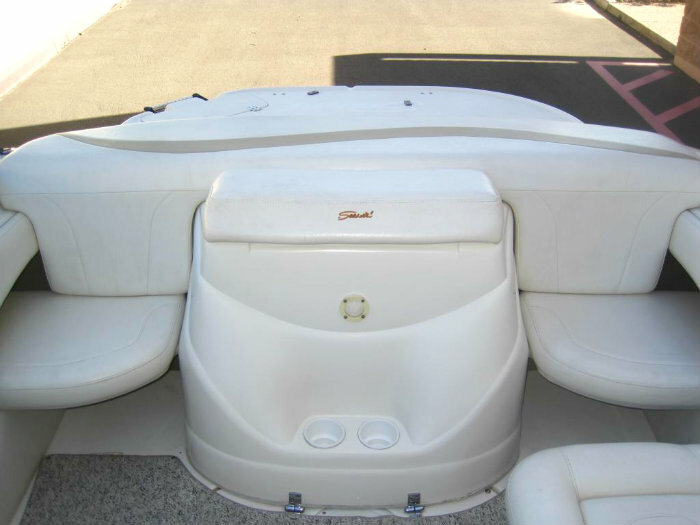 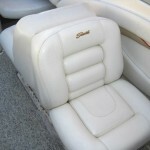 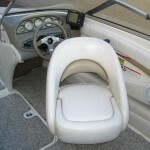 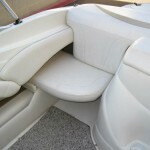 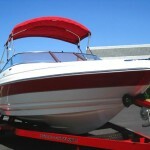 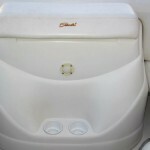 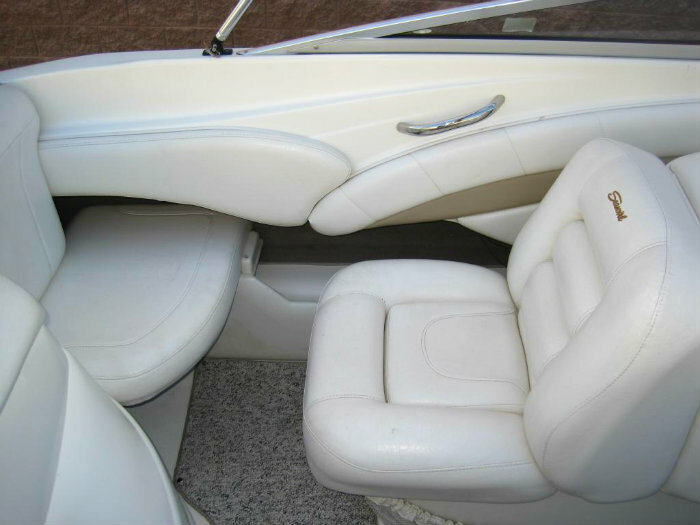 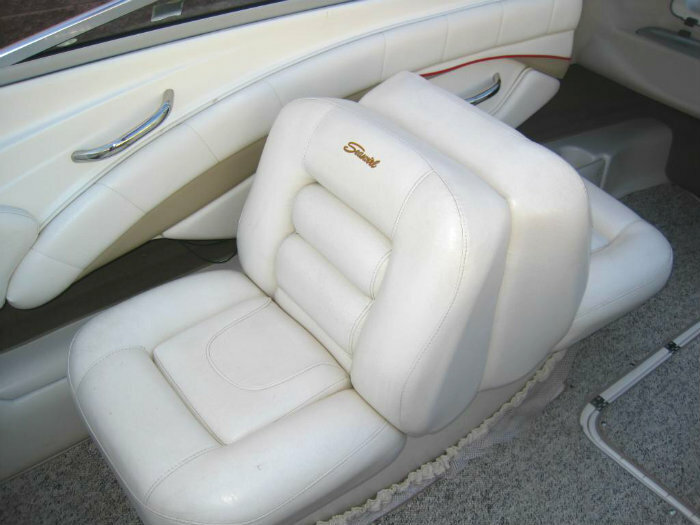 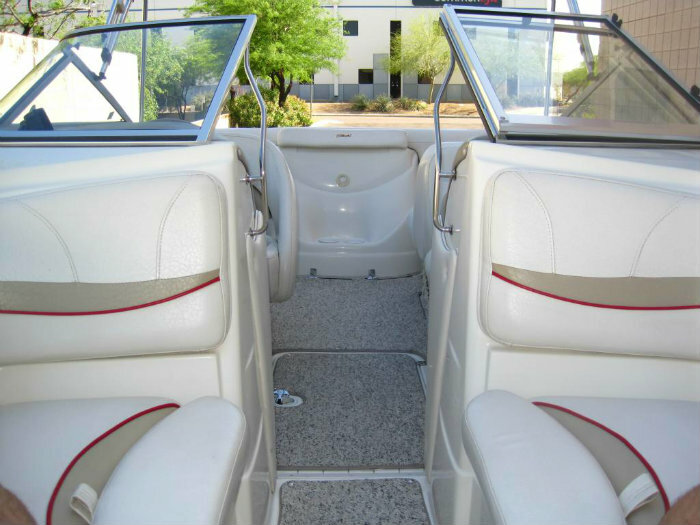 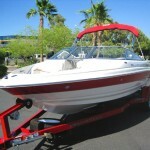 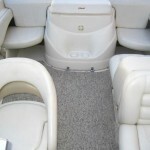 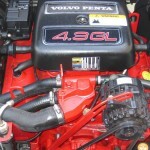 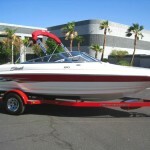 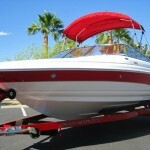 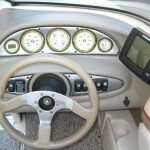 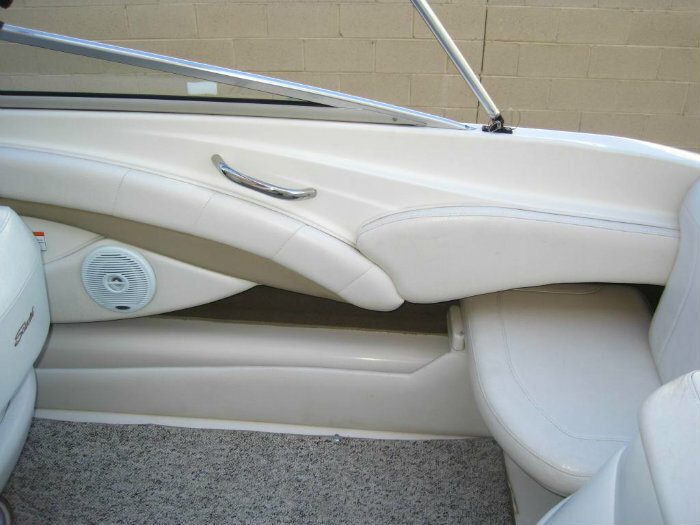 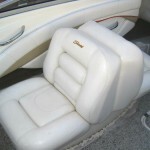 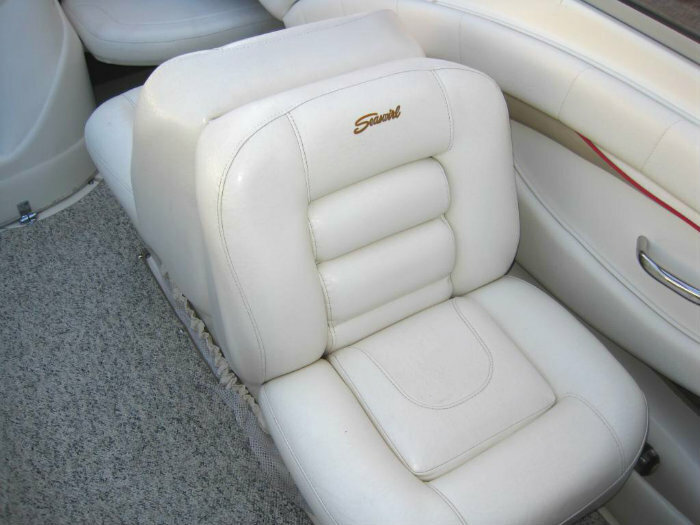 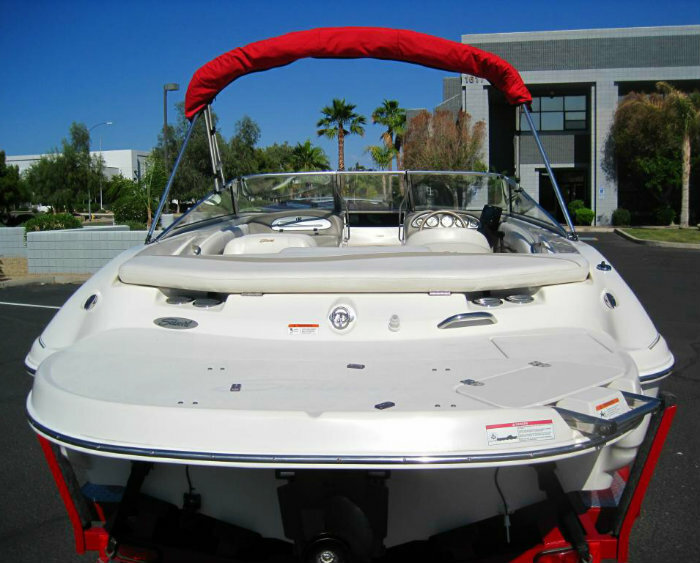 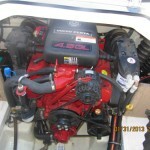 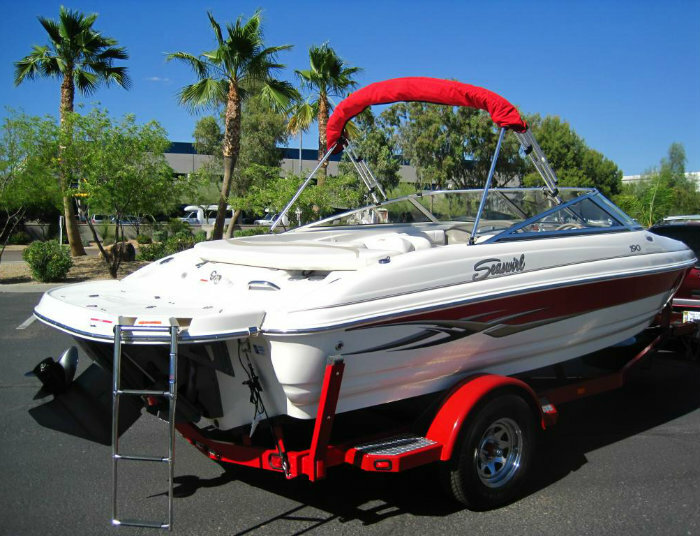 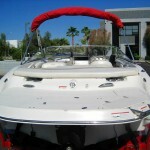 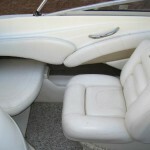 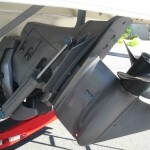 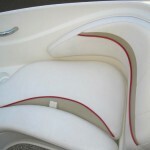 This boat is classy not just in condition, but in overall style and performance. 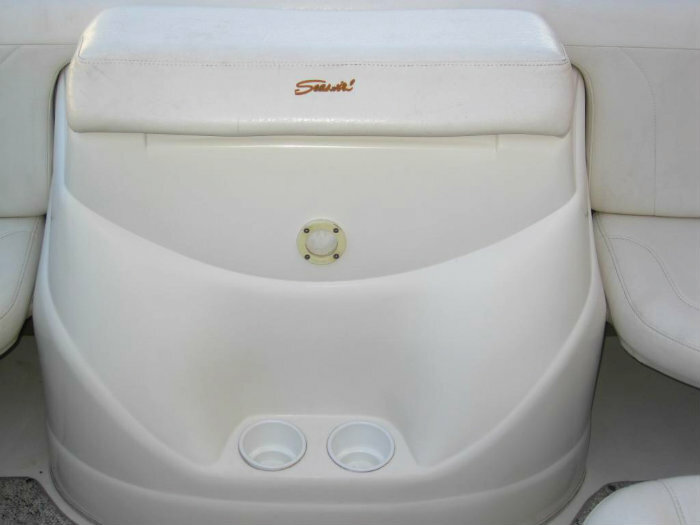 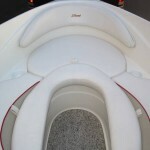 Think of the 190 Bow Rider as an educational experience for the entire family. 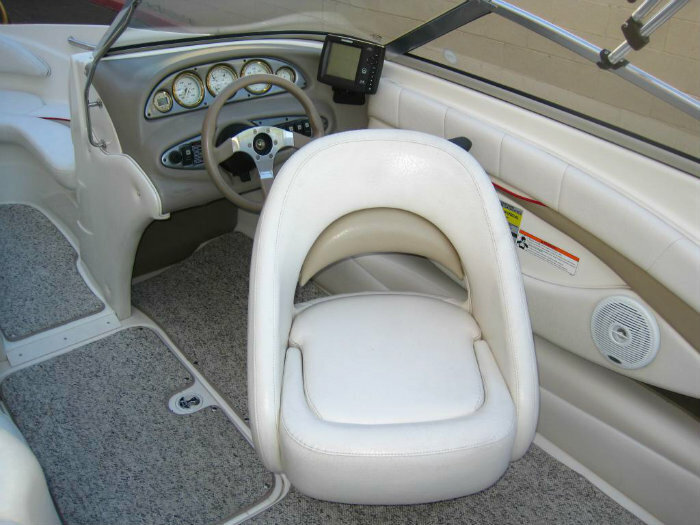 Teach them the joys of the water and the thrills of a well-crafted boat that comes complete with lay-in berber carpet, an AM/FM satellite-ready stereo with CD player and swim platform with boarding ladder? 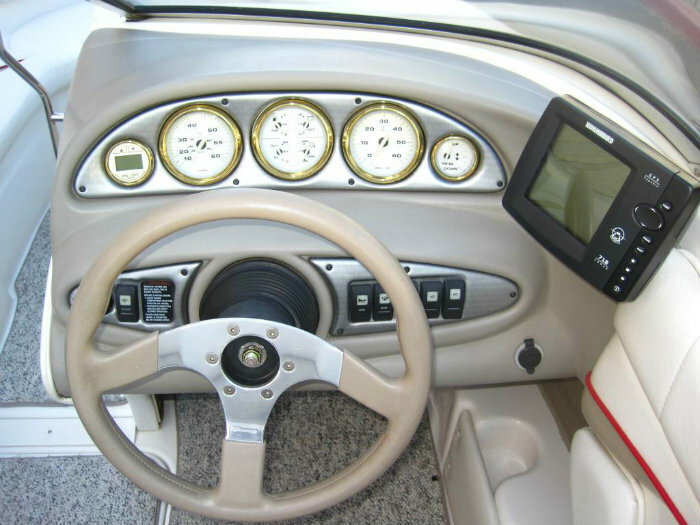 All standard. 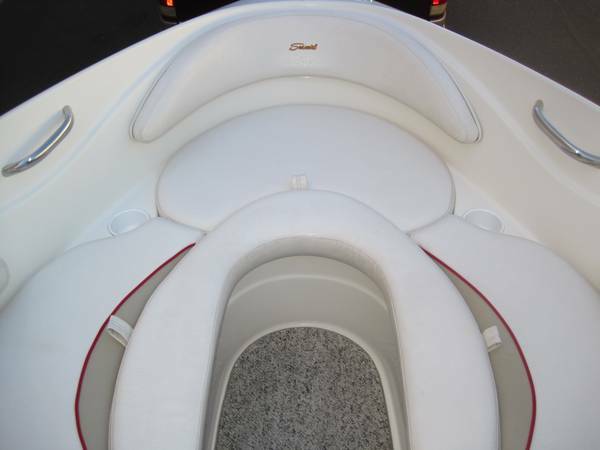 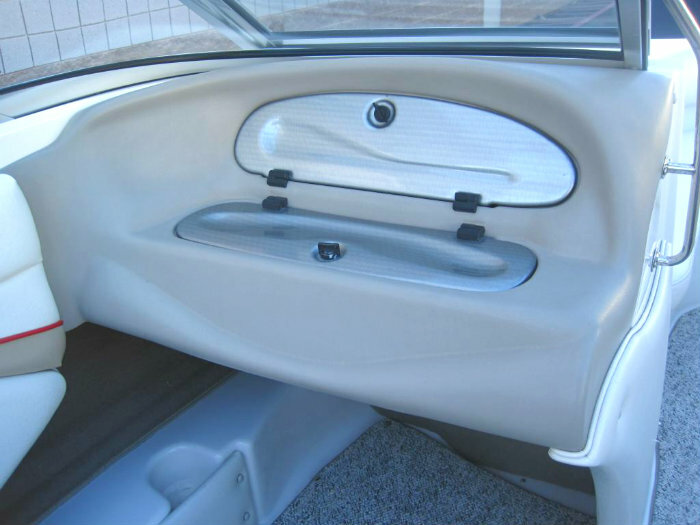 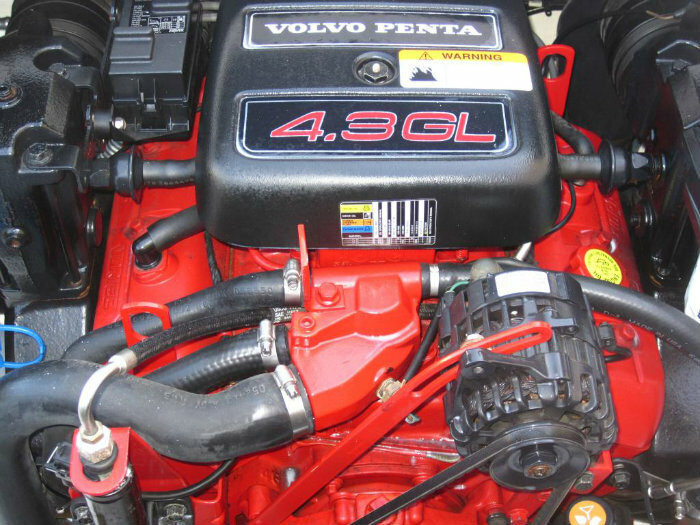 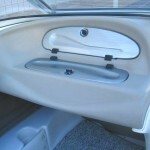 It has an features & options list that only other manufacturers dream about. 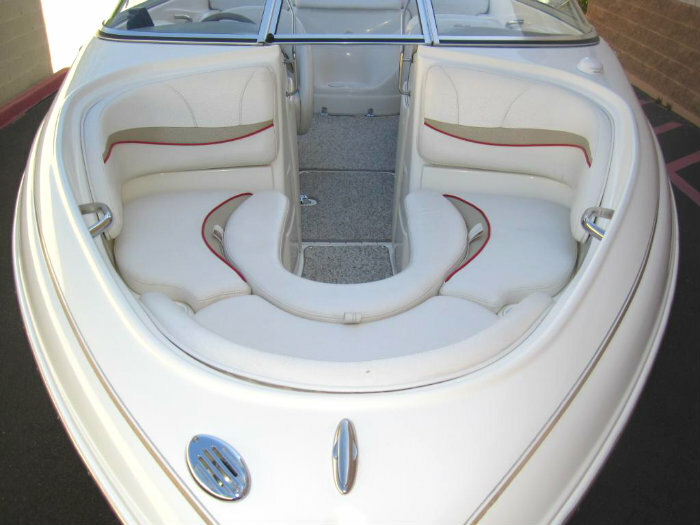 This is one classy boat, get in early on this one.